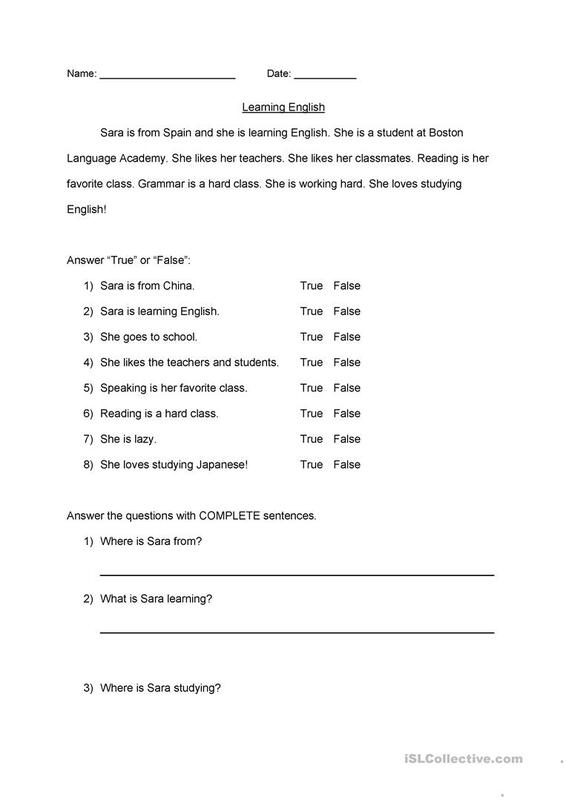 On p.1-2 Students read a short paragraph about an English student and answer True/False and short questions. 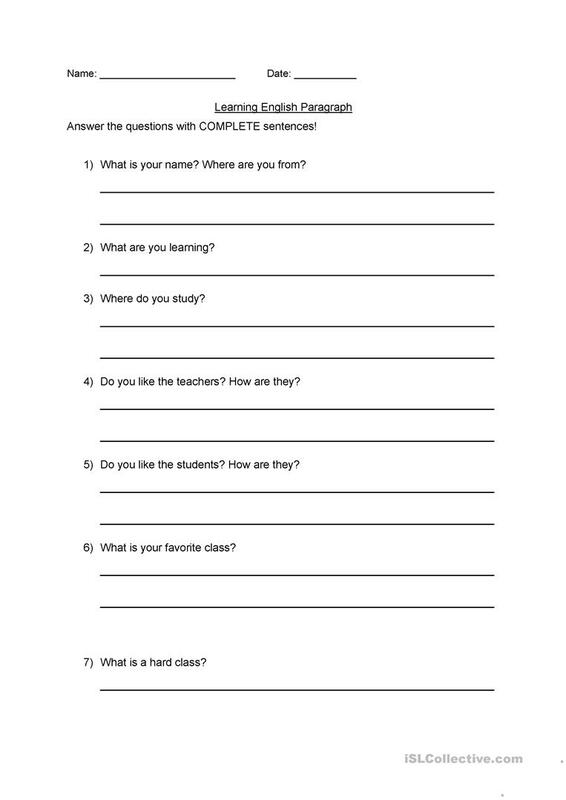 On p.3-4 the students answer questions about their experience as English students. You can then have students write their own paragraph with their sentences. 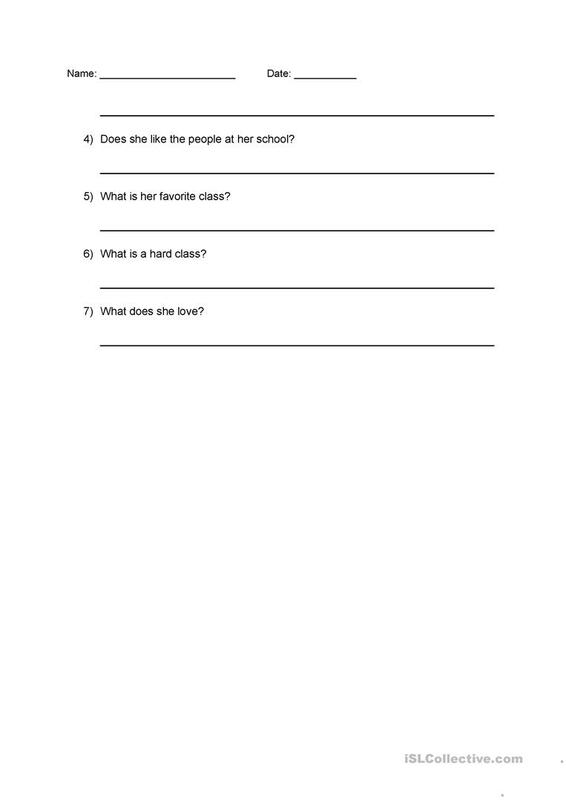 The present downloadable worksheet is best suited for business/professional students, high school students and adults at Beginner (pre-A1) level. It can be used for strengthening your pupils' Writing skills. akenworthy is from/lives in United States and has been a member of iSLCollective since 2019-02-08 19:17:04. akenworthy last logged in on 2019-04-20 17:00:04, and has shared 7 resources on iSLCollective so far.